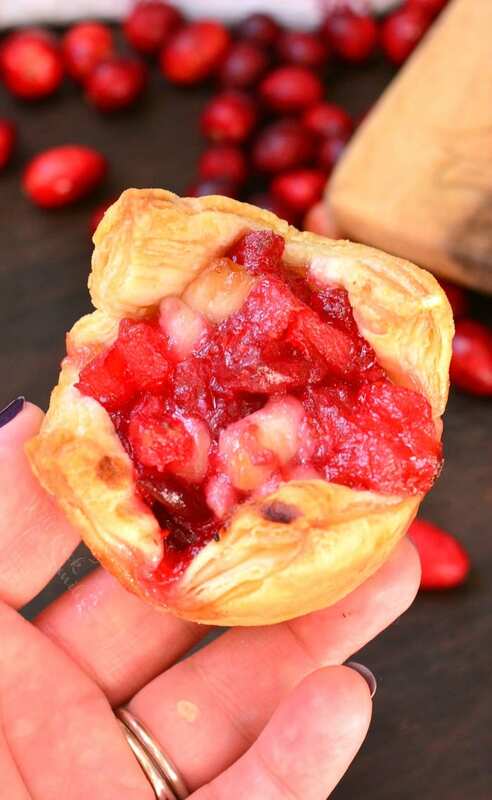 Puff pastry bites filled with simple apple cranberry sauce. 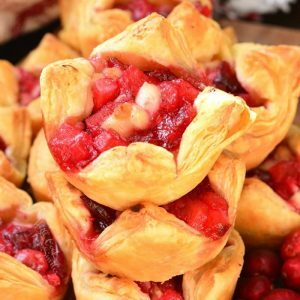 These cranberry brie puffs are made with fresh cranberries, apple, and nutmeg filling, gooey Brie cheese, and all stuffed inside a flaky puff pastry. A little sweet, a little sour, and all together delicious combination of apple and cranberry sauce mixed with gooey Brie cheese. This tasty filling is stuffed into flaky, buttery puff pastry. It’s a perfect bite each time. 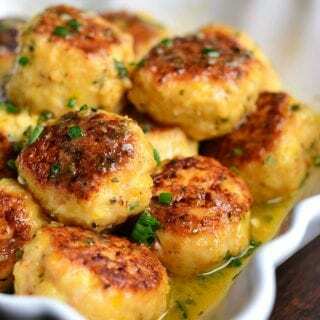 These bite sized puffs make a great appetizer to serve during the holiday season. They’re perfect to serve anytime cranberries are available actually. The filling is simply made with fresh cranberries, apples, sugar, and a dash of nutmeg. Mix it all together with Brie chunks and it all melts together beautifully in the oven. 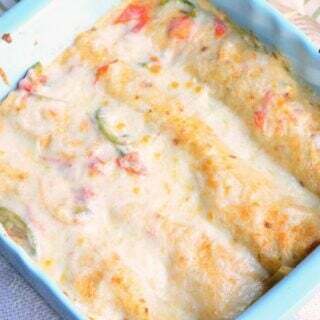 So simple to prepare and you can even make the filling ahead of time. If the filling is prepared ahead of time, putting together these pastries will take 5 minutes. To make the filling ahead of time, cook cranberries and apples with sugar and nutmeg according to the recipe. Let it cool to room temperature and mix with Brie chunks. 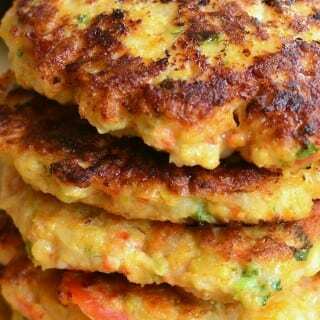 Transfer the filling into a container with a lid and refrigerate until ready to use. Pull puff pastry from the freezer about an hour before planning on baking. Take puff pastry sheets out of the package and out of the paper and leave them on a large cutting board to start to thaw. Once pastry sheets about half way thawed and you are able to unfold it, unfold the top third gently. Be careful not to break it. Let it thaw for a little while longer and unfold the other third once it’s ready. Let the dough thaw completely before cutting and filling. 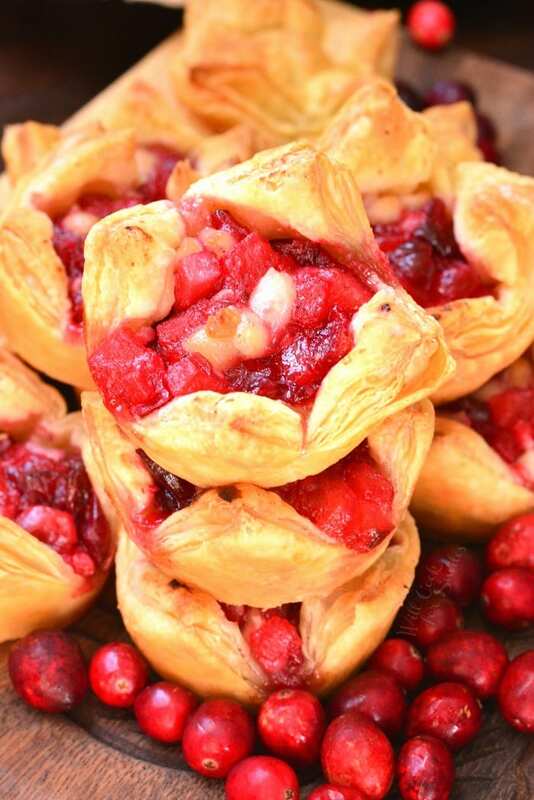 These cranberry brie puffs are made with fresh cranberries, apple, and nutmeg filling, gooey Brie cheese, and all stuffed inside a flaky puff pastry. Pull puff pastry from the freezer about an hour before planning on baking. 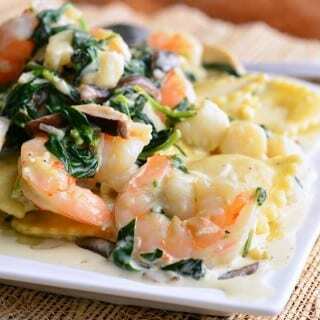 Take puff pastry sheets out of the package and out of the paper and leave them on a large cutting board to thaw. In a sauce pot, combine apples, cranberries, lemon juice, sugar, and nutmeg. Set heat to medium. Mix well and cover. Cook covered just until apples and cranberries give out juice. Take off the lid, mix, and cook uncovered until apples are completely cooked and most juice is cooked out. Take off heat and let the mixture cool to room temperature. Cut rind off Brie and chop cheese into small pieces. Mix cheese pieces with apple cranberry mixture. Roll puff pastry a little bit (just a little) and cut the sheets into 9 squares each. 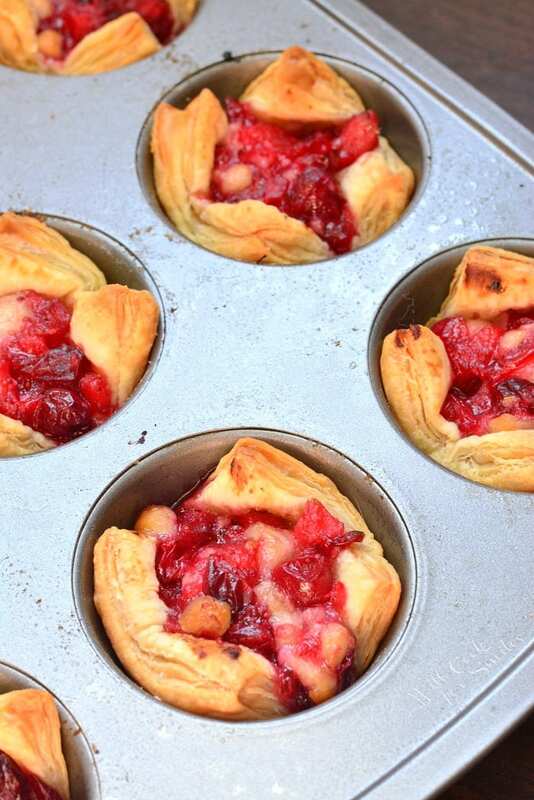 Place each square into the muffin cup, forming a little cup out of the pastry square. 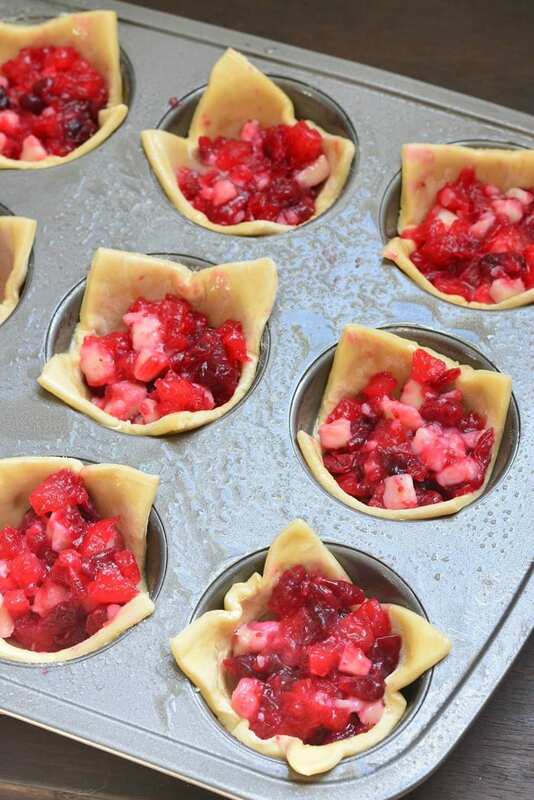 Fill each pastry square with about 2 tablespoons of apple cranberry Brie mixture. 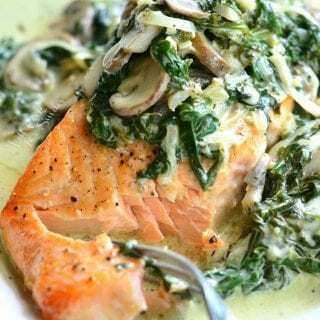 Bake for 17-19 minutes, until pastry is golden-brown. 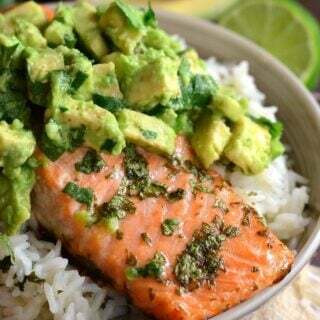 Gotta try this, looks good.